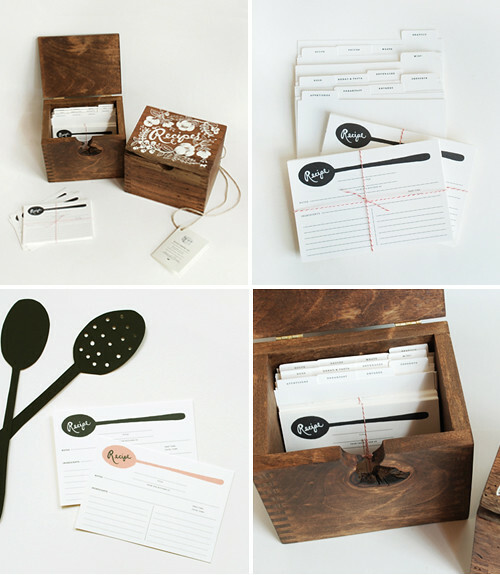 Today I’m loving … this wooden recipe card box from Rifle Paper Co, a boutique stationery brand and design studio based in Florida, USA. 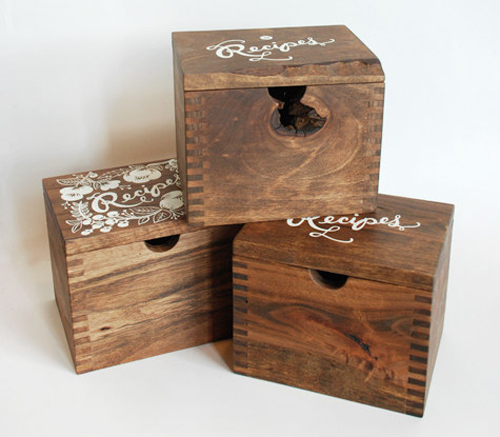 The boxes are made by local craftsmen from locally salvaged hardwood (trees that were destined for landfills). All of the boxes are unique and hand-crafted during a 3-month-long process (a month for the mill to source the salvaged wood, a month to build in the workman’s studio, and a month for the hand-rubbed finish to dry). The lids are then screen printed with two different design options. These boxes are simply beautiful. Thank you for sharing. Hoe is het? Deze doosjes zijn echt super. Net over gespost! Mijn receptenboekje is zo vol en deze zijn zo mooi! Those are gorgeous, and I love that they came from salvaged wood. Looks like a perfect gift item! Do you have any recipe boxes available? I need one for a gift before February 22nd please.